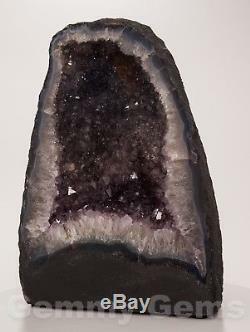 B0867 13.00 32.50lb Cathedral Amethyst Geode Quartz Crystal Druzy Cluster Decor. The pictures you see here are of the item you will receive. Thanks and have fun shopping. 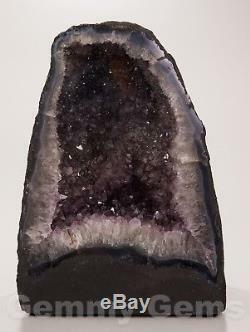 This is a very nice sized Cathedral Amethyst Geode from Brazil. 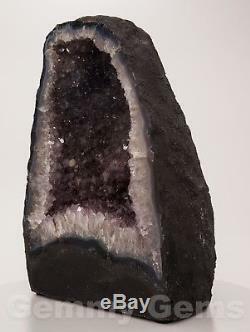 Beautiful purple crystals on this specimen. Check out the redish purple cluster at the top middle area. 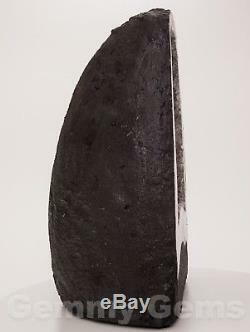 Overall Size: 13.0" x 9.60" x 6.16. 330 mm x 244 mm x 156 mm. Because of its wine-like color, early Greek legends associated amethyst with Bacchus, the god of wine. Other legends reflected beliefs that amethyst kept its wearer clear-headed and quick-witted in battle and in business affairs. Because amethyst was associated with wine, it was believed that wearing amethyst prevented drunkeness. Fine amethysts have been set in religious jewelry and royal crown jewels for ages. It was once considered equal in value to ruby, emerald, and sapphire. 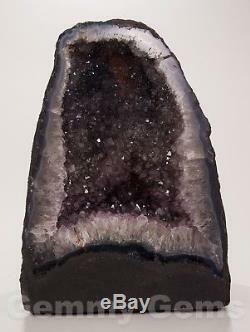 Its no wonder that fine amethyst adorns the fingers of bishops as well as the coronation regalia of British royalty. Amethyst is the birthstone for February and one of the emblems of the twelve apostles. Aquarius - January 21 - February 19. Amethyst is a meditative and calming stone which works in the emotional, spiritual, and physical planes to provide calm, balance, patience, and peace. 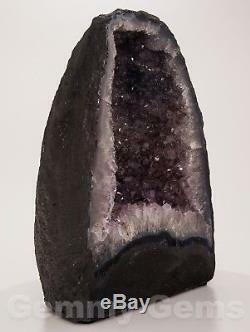 The amethyst works to purify any space of negative vibrations, emanates higher energy and creates a suitable place for one to come back to the source of his or her own power. It calms and cools excessive emotions, and eases the transition to a more meditative state by clearing the unnecessary mind clutter. On a physical level, amethyst is said to strengthen the immune system and help heal imbalances of the respiratory tract and skin. It is interesting to note that the name amethyst translated from Greek means a stone that can protect the wearer from intoxication! The working of feng shui is based on the process of deflecting the negative energy and welcoming the positive energy inside. 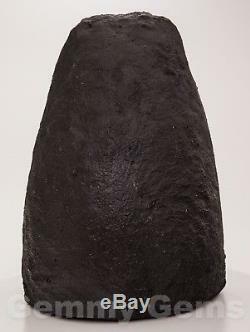 The crystals' potential of radiating positive energy is hugely used in the feng shui remedies. 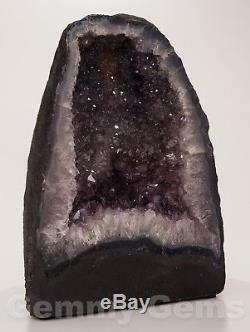 Among all crystals, amethyst occupies a special position owing to its versatile healing qualities. 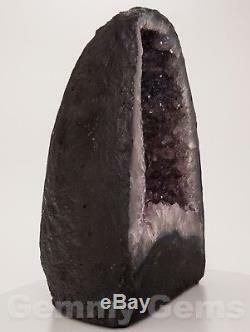 In feng shui, the amethyst is used for its purification qualities, as well as its ability to connect to higher planes of energy. It can be used to calm the emotions in a household where there are excessive arguments and misunderstandings. It can also help with study and learning. We like items to be payed as soon as possible. At that time we will let you know if your items can be combined and what kind of discount you can expect. 30 Day return grace period on all mineral specimens. We do our best to provide accurate descriptions & realistic pictures. Please be aware colors may be slightly different to each user due to individual monitors. My wife and I became rockhounds about 19 years ago when we realized how much we enjoyed looking for crystals that we could use or display in our home. We are intrigued by the metaphysical properties that have been associated with different kinds of minerals as well as their esthetic beauty and collect-ability. You will find rocks all over in and around our home. We do our very best to portray our specimens as close as posibble to how they really look. 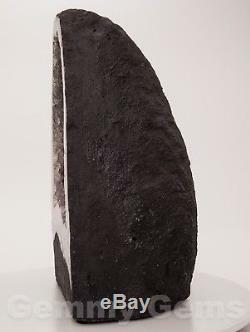 Whether you have a passion for rocks, are interested in their metaphysical properties or are looking for a collectable or decorative piece, we have a specimen for you. Check out our other auctions. _gsrx_vers_811 GS 7.0.9 (811). The item "B0867 13.00 32.50lb Cathedral Amethyst Geode Quartz Crystal Druzy Cluster Decor" is in sale since Wednesday, December 07, 2016. 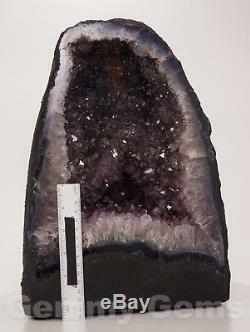 This item is in the category "Collectibles\Rocks, Fossils & Minerals\Crystals & Mineral Specimens\Display Specimens". The seller is "gemmygems_com" and is located in Mount Holly, North Carolina.